WF: What is Axis MF IFA Connect? 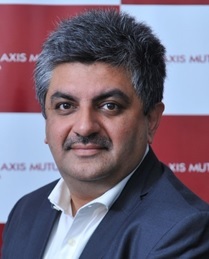 Manesh: Axis MF IFA Connect is a comprehensive and smart digital solution for IFAs. The objective of this app and web portal is not only to facilitate seamless digital transactions on the go but also serve as an information and analysis platform, hence going beyond just transactions, it is a Business enhancement tool. The name “Connect” suggests that we are not only trying to partner with the IFAs purely on a transactional basis but also trying to enhance the engagement between IFAs and their investors. The idea is to get Axis MF connected to the IFAs digitally and ensure a much faster and better experience. We realised that there was a constant need to evolve and come up with smart solutions that make the IFAs life easier while interacting with investors. WF: In what ways is your new IFA Connect App different from your industry leading open architecture app? Manesh: Axis MF IFA Connect App is closed architecture and only details pertaining to Axis Mutual Fund schemes will be visible to the independent financial advisors (IFAs). Axis IFA connect is freely available to advisors empanelled with Axis Mutual Fund. The need observed from our advisors was to get a platform for quick transactions, status updates with auto reverse feed without the need to upload them from R&T and analytics or integration with in-house facilities. WF: A number of leading fund houses have launched their own closed architecture distributor apps. In what ways have you tried to build on their experiences when you created your IFA Connect App? Manesh: Before launching the App, we did our research and found the existing problems faced by an IFA. The problem highlighted was – IFAs are unable to give quality time towards client meeting, client servicing and advisory. This was because of the documentation work pressure that kept them busy all the time. The research also suggested that lot of platforms in BFSI sector are cluttered with elements on screen. Design thinking approach was applied to make Axis MF IFA connect clutter free and intuitive for the advisors making the platform on par with other consumer apps that are being used on a daily basis. Hence, to address these challenges we decided to work on a dedicated platform. As a responsible fund house, Axis MF launched “Axis MF IFA Connect” app with additional features. The focus was on features like Easy to transact, Simple to operate, More informative, the app also provides other features like detailed dashboards, monthly cash flow statistics, analytics and performance indicators from business strategy point of view. WF: How does transaction execution take place in your IFA Connect App? Manesh: Transaction execution is quick and easy. There are only five steps required for advisors to raise transactions i.e. Investor receives an approval link via email and SMS and within two clicks, the transaction is approved. WF: What are some of the business analytics that you have built into this app to help IFAs manage client relationships better and to drive business better? Manesh: There are many features that we have provided in the platform. We understand that our advisors have a dual role to play – one to manage their own business and second to advise investors. We therefore offer two dashboards - Business dashboard to strategize their activities and an Investor dashboard to help with investor’s portfolio. There are statistics pertaining to cash flows, SIP book, SIP details - active and inactive and real time transaction status updates. WRT investor, there is an asset class bifurcation for balancing the client portfolio, view performance of the investments and monitor the systematic plans. There are many more features that will be introduced on the platform to assist our advisors to make their life easy. WF: Do you have any industry data on volume trends of distributor initiated transactions using AMC apps? How do you see this space growing in the coming years? Manesh: There is no ready available data on transaction initiated via AMC apps though we do get substantial business from regular transactions and investments. We have also observed a need from IFA community for dedicated platform from AMCs not only on transaction but also for other non-transactional services, which we will be providing to advisors. We as a country still have a lot of potential when investments are concerned. Currently, investments come majorly from tier 1 cities. A lot can be done to increase the penetration to remote locations of India. This void can only be filled with the help of advisors and digital solutions reaching the last mile. WF: What are next steps in the journey of your IFA Connect App? What more features are you looking at building into it in future releases? Manesh: Now, with this App ‘Office in your pocket’ and ‘Information on your finger tips’ is for real. This is only the beginning as we plan to move towards complete digitization and make a platform where mundane tasks can be handled by the platform. This will increase our services to the long tail advisors thereby providing time to RMs for productive interactions. Besides this, we also have an assorted list of features and functionalities in the pipeline like timely availability of insights and market updates, brokerage structure availability, extending call center facilities to IFAs, transactions using one-time mandate, advanced analytics to be placed to help with more accurate guidance to investors, integration of new secure methods of payment, and many more.